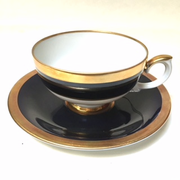 Weimar Porcelain from Germany stands for highest quality and workmanship, synonym of splendid porcelan making in Europe. 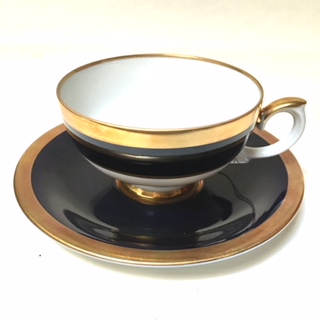 This cobalt/gold design cup is3 7/8" width by 2 1/4" height. 6" diameter saucer.